and overlays, our in.k1000+ touch screen keypad is fun to use and simple to learn. Driven by a powerful 400 MHz processor, Gecko's in.k1000+ keypad features an eye-catching 4.3 in. 256K color LCD capacitive touch screen display. Resting in a thin and beautiful enclosure that houses its cutting-edge electronics, in.k1000+ fits perfectly on the edge of any spa. 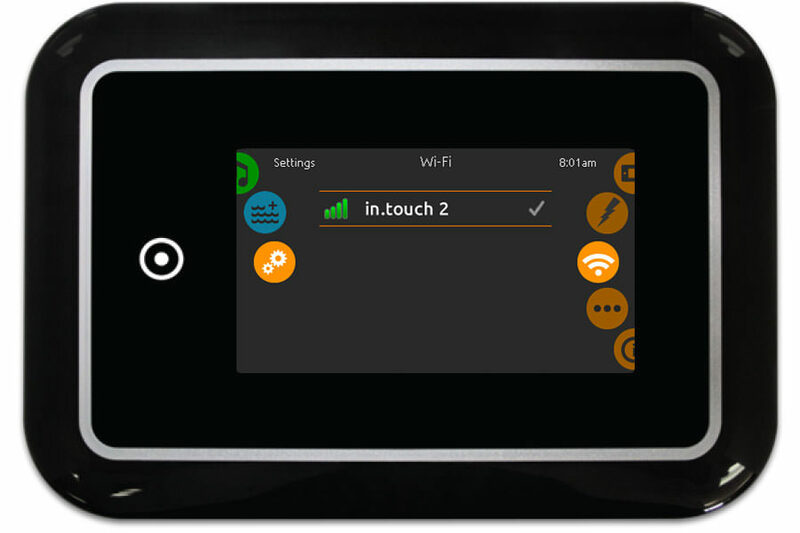 Gecko’s new version of its in.k1000 capacitive touch screen display keypad boasts a new state of the art touch screen with more precise fingertip contact areas for accurate target selection, enabling easier and more precise interactions. in.k1000+ features optimal water resistance and lots of memory. With its swim spa training program, in.k1000+can transform any swim spa into the ultimate training machine. Directly on the keypad, training sessions can be customized by setting flow intensities, durations and color indicators. Pre-sets Lap, Transition, Cardio and Power drills can also be selected and customized to match any training needs. 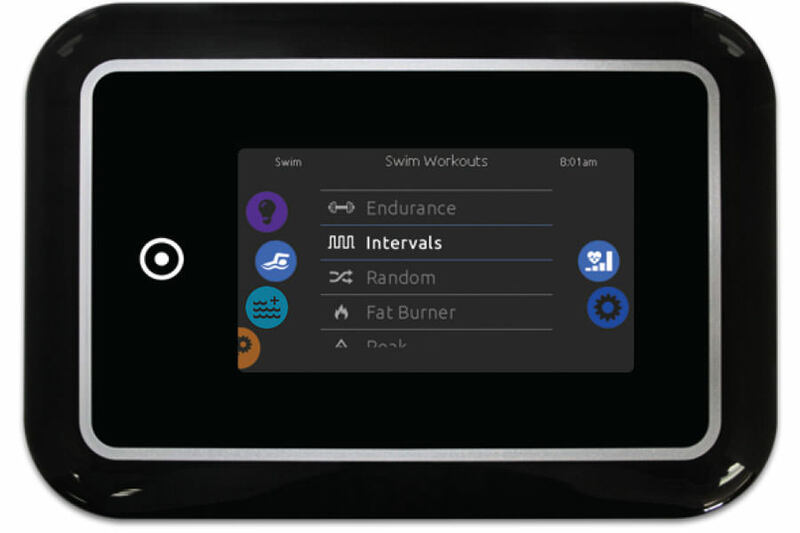 in.k1000+ can now control multiple 2 speed pumps and synchronize the jets to create the wide selection of water stream strengths a swimmer needs for serious training. in.k1000+ can access the internet through its in.touch 2 connection, making your spa an integral part of the Internet of Things. a unique user interface and an engaging new way to control your spa equipment and accessories! No buttons, keys and overlays! Mode and function selection wheels, all-on or all-off one touch activation key of last used settings, interactive display icons and on-screen messages are all elements of the in.k1000+ user interface designed to let spa users interact intuitively with their spa and its value-added accessories. The in.k1001+ is the perfect solution for those who want a compact interactive keypad. Same interface, same performance and as fun to use as its big brother, the in.k1000+. Notification icons at the top right-hand side of the screen show the status of connected value-added accessories.